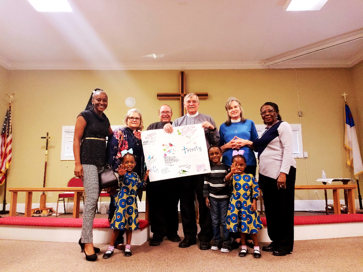 Trinity Anglican Church supports the ministry of Kairos Prison Ministry International, Inc. at Lee Arrendale State Prison in Alto, GA north of Gainesville. Kairos Prison Ministry holds 3½ day retreats twice a year at this prison incarcerating 1700 women. The impact of incarceration on families is particularly heart-breaking there because 92% of these inmates are mothers. Kairos Prison Ministry International, Inc. (Kairos) is a Christian ecumenical ministry which addresses the spiritual needs of incarcerated men, women, youth, and their families. By sharing the love and forgiveness of Jesus Christ, Kairos hopes to change hearts, transform lives and impact the world. As a ministry, Kairos embraces a diverse group of volunteers working together to fulfill Christ’s call to action in Matthew 25:36. As hearts are changed and burdens lifted, inmates begin to take responsibility for their actions – it’s like a front row seat at a miracle – transforming lives and impacting the world. To learn more, visit www.kairosprisonministry.org. At Trinity Anglican Church, there are several ways we support this ministry- as a volunteer on the team going inside the prison, or, just as importantly, participating in the Prayer Vigil, making cookies for the inmates, or by making agape – physical expressions of God’s unconditional love from members of Christ’s church – such as posters and placemats. A poster we made expressing our agape love for the women. Watch this video for a great testimony from a female inmate about the impact of Kairos Women’s Ministry and also a testimony about being a Kairos Team Volunteer.